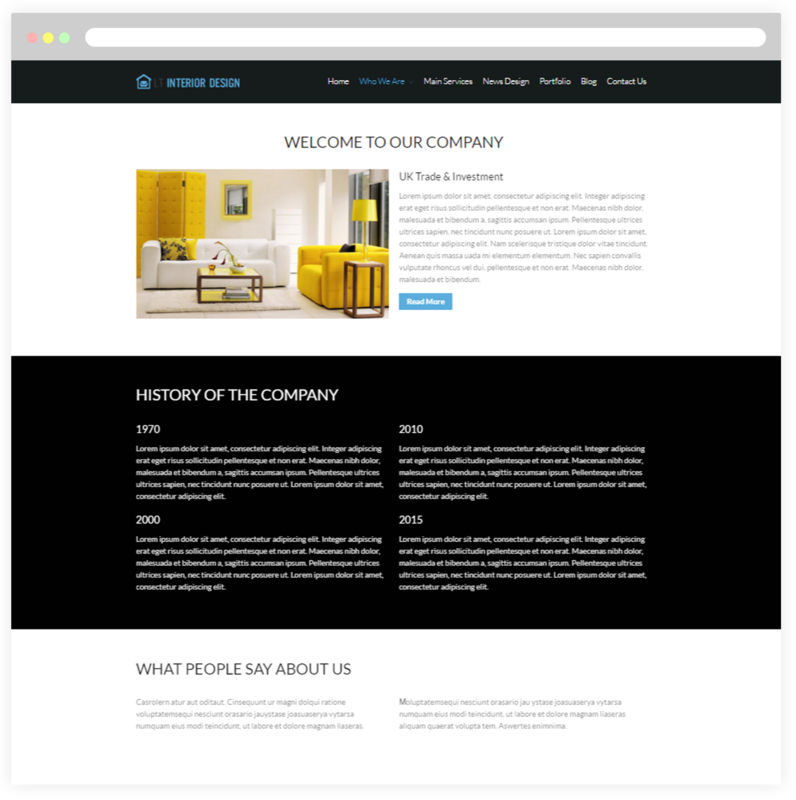 A well-designed Interior WordPress template that brings a modern and clean look for showcasing your store and product efficiently! 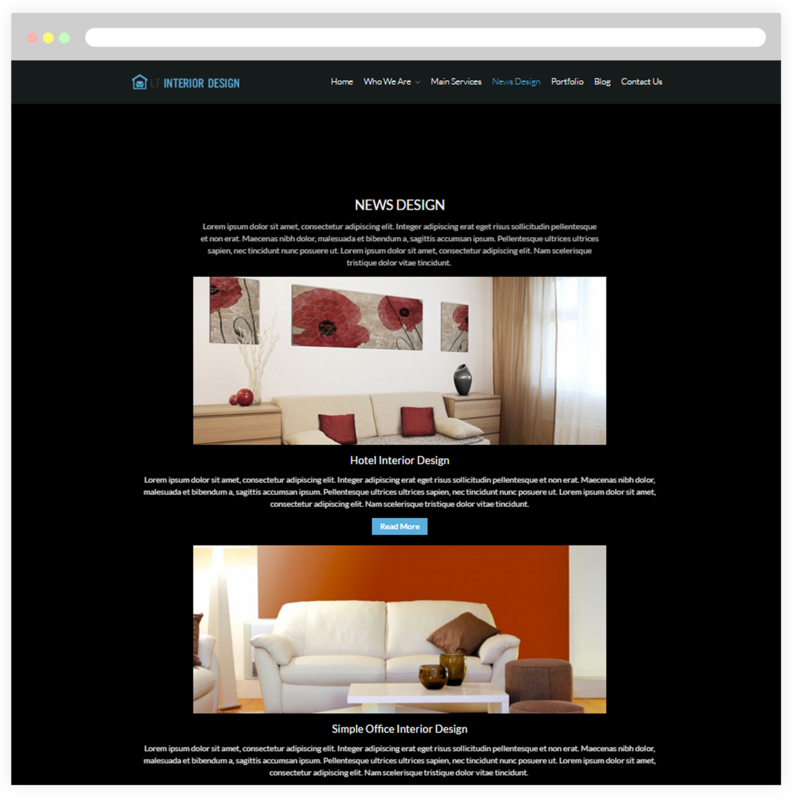 LT Interior Design is Responsive WordPress theme which has been perfectly designed for furniture and interior stores. This template looks elegant and modern, with well-organization among sections for introducing products, it is now easier for you to showcase your store information and products in a beautiful way. 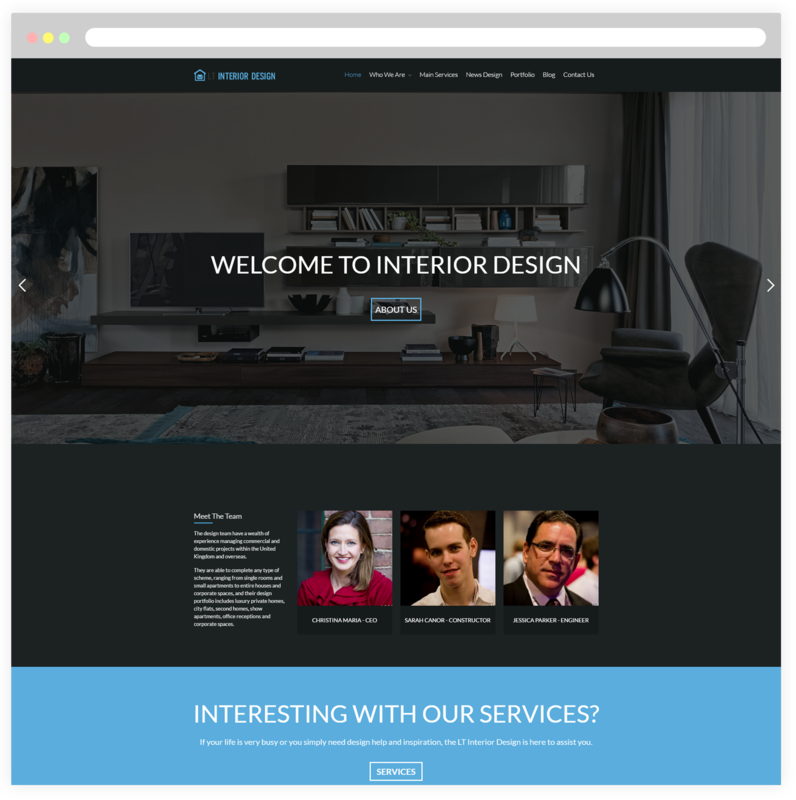 Especially, LT Interior Design can help you attract more traffic from mobile users when it supports fully responsive layouts to show up amazingly on all mobile devices. 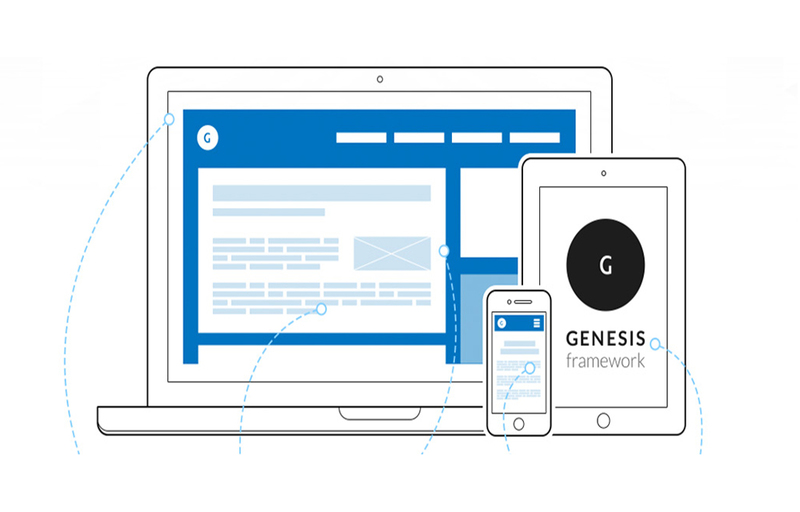 Moreover, many useful built-in features such as strong shortcode, drag-drop layout content, Bootstrap CSS and Genesis Framework for a smooth customization of design and bringing your site a unique look. 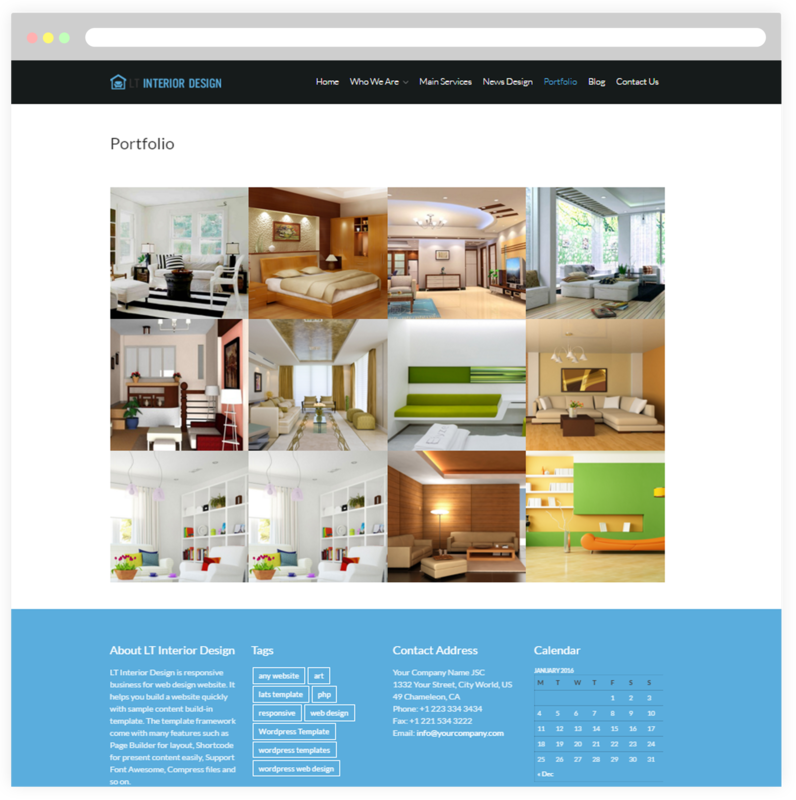 In addition, you will have more options of color and be easier to do it because LT Interior supports you unlimited color and color picker from admin panel. 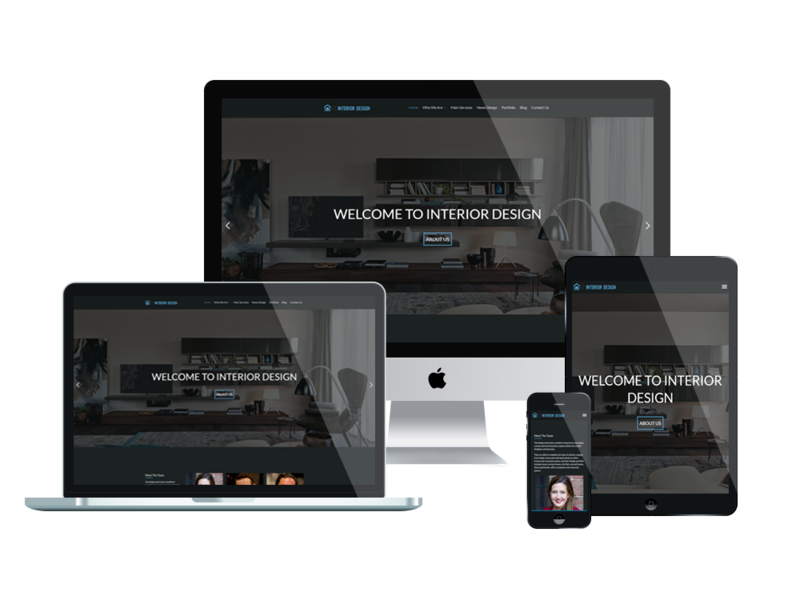 Get your site professional than it was with this amazing Interior WordPress theme! 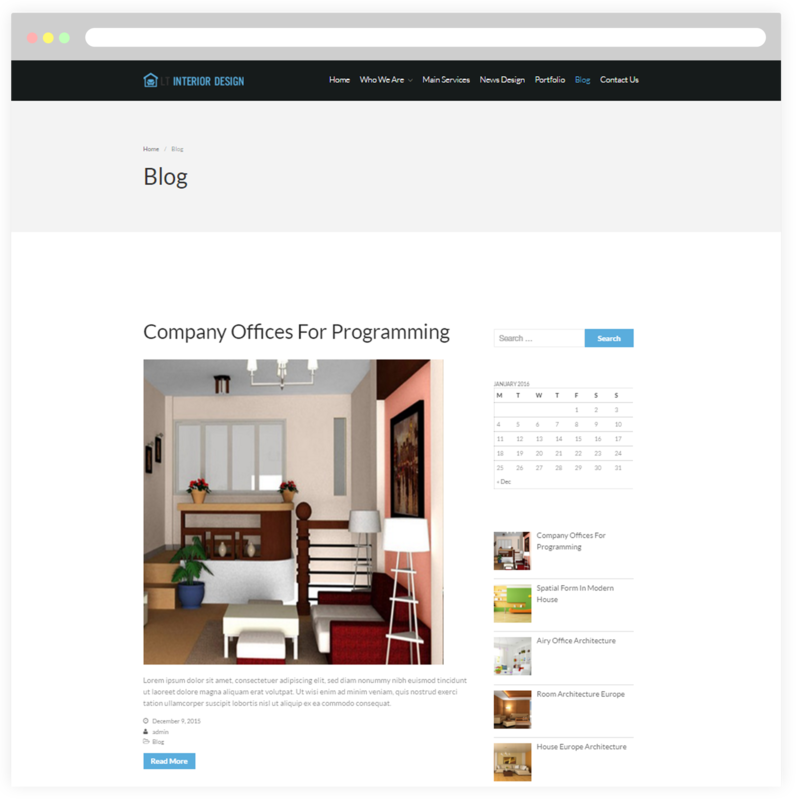 This is a page dedicated to introduce information about your interior design company. Besides, present its mission, vision and history to everybody through this page. 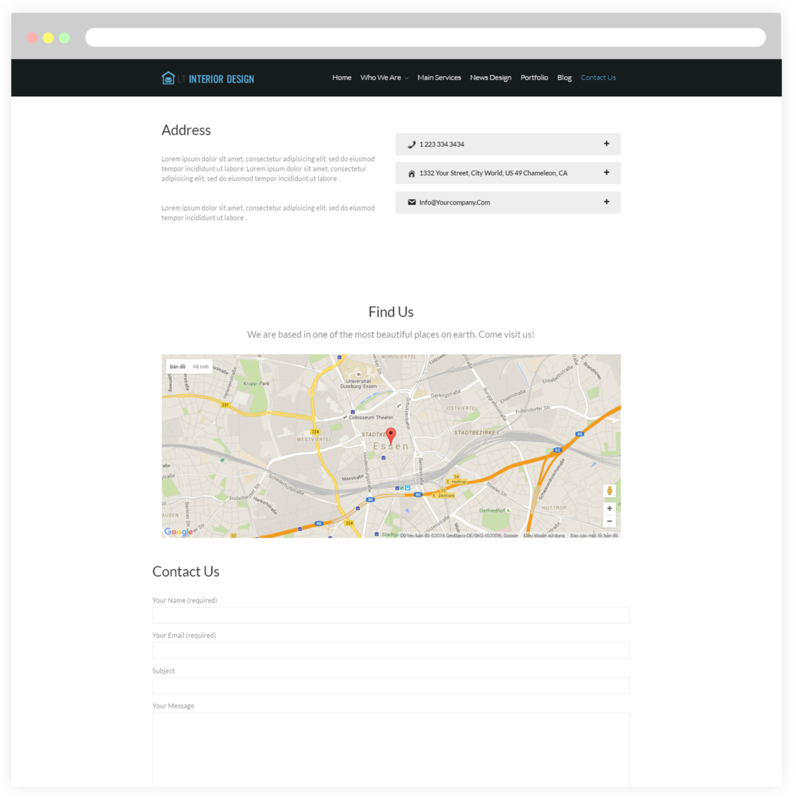 Portfolio page showcases gallery about famous watch brands of the shop for your customers. 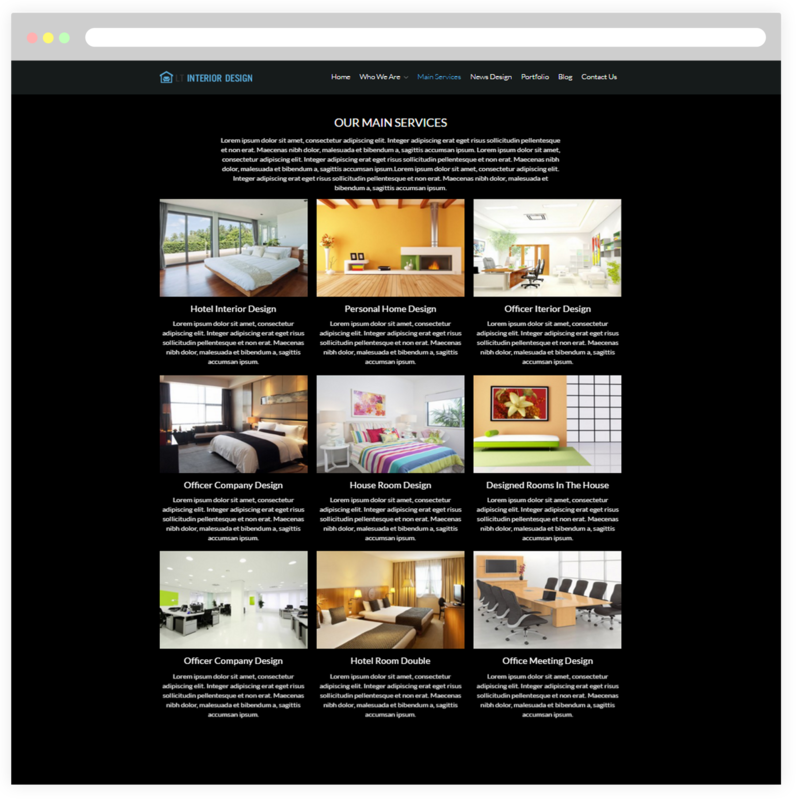 We offer luxurious designs in an eye-catching manner for portfolio page.